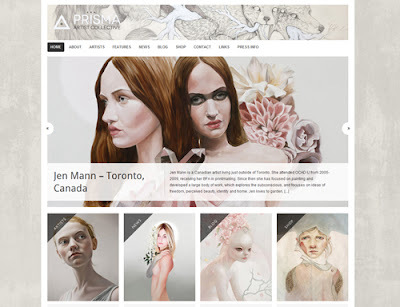 PRISMA ARITIST COLLECTIVE website just refreshed the look, more new works of our members were already updated :) check it out!
" PRISMA was born in late October/early November 2011 as a small project with only a handful of artists, and then quickly turned into an international artist collective of 25 talented creatives. Before the collective, I often felt lonely as an artist. There are so many of us but we rarely ever truly connect. I wanted to change that and bring together a group of people that were so different—in their art, their age, their nationality, their opinions, and most of all, the current stages of their career—and yet so similar in their goals, their creativity, and their passion. I imagined a place where all of us would come together to swap ideas, engage in discussions, or just have fun with each other. An important part of PRISMA are our collaborations. What makes them unique is that they are completely unexpected. A popular artist will be working with one who is just starting out; members with very different themes and styles will team up to learn more about each other’s visions and secret worlds. It is important to me that all our artists are treated equally and that they respect each other. All of our 25 creatives are true gems with great talents that deserve to be discovered and appreciated. "